The preparation of future professionals for practice is a key focus of higher education institutions. Among a range of approaches is the use of simulation pedagogies. 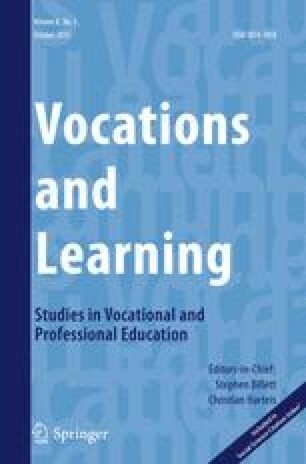 While simulation is often justified as a direct bridge between higher education and professional practice, this paper questions this easy assumption. It develops a conceptually driven argument to cast new light on simulation and its unarticulated potential in professional formation. The argument unfolds in, and is illustrated via, three accounts of a simulation event in an Australian undergraduate nursing program. This begins with a familiar approach, moves to one that problematizes this through a focus on disruption, culminating in a third that draws on socio-material theorisations. Here, simulation is conceived as emergent, challenging stable notions of fidelity, common in simulation literature. New possibilities of simulation in the production of agile practitioners and learners in practice are surfaced. This paper extends and enriches thinking by providing distinctive new ways of understanding simulation and the relationship it affords between education and professional practice, and by illuminating the untapped potential of simulation for producing agile practitioners. The authors would like to thank the anonymous reviewers for their helpful comments on this paper. Ethical clearance for the project, which enabled data for his paper to be collected, was gained through the university’s Human Research Ethics Committee. All participants provided their informed consent. The project was made possible through funding from the Faculty of Arts and Social Sciences’ Research Development Grant scheme. Hopwood, N., Rooney, D., Boud, D., & Kelly, M. (2014). Simulation in higher education: a sociomaterial view. Educational Philosophy and Theory, 1–14. doi: 10.1080/00131857.2014.971403.